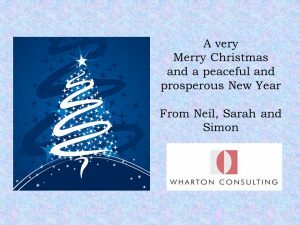 As 2018 com es towards a close, Neil, Sarah and Simon would like to wish all our clients and friends a very merry Christmas and a peaceful and prosperous 2019. We’ve loved working with you this year, and look forward to continuing to do so over the next 12 months. In among all this Neil found time to visit Australia, where he visited NRL, Super Rugby and Super Netball franchises – while Sarah climbed the Eiger! All in all, a very satisfactory summer: please don’t hesitate to contact us if any of the above makes you think that our experience and expertise might be helpful to you. As you’ll no doubt be aware, the General Data Protection Regulation (or GDPR) comes into force on Friday 25 May. We at Wharton Consulting hold an amount of personal data either as a result of work that we’ve done over the past few years, or because we have professional connections which we’ve generated through our normal course of business. 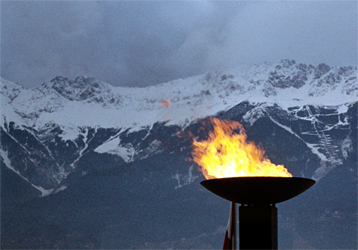 We hold on to some contact details because we value our network of connections within the world of sport, and we’d like to stay in touch with these people in future. We take our responsibility regarding the safety of information very seriously, and are fully committed to protecting it and being open and transparent about what we hold. Our usual practice, subject to our clients’ agreement, is either to delete information which is generated through consultancy contracts as and when those contracts are completed; or to hold on to information for the purposes of client aftercare, in case that information is needed to support the implementation of a project. If the latter, we will retain the information for a reasonable period of time (until it is agreed that it is no longer needed, or the minimum six years which is required by the Companies Act). Success rarely happens overnight – and it’s been fantastic for us to see these and other clients past and present reap the benefits of the strategy work that they’ve done with us over the past 10-15 years. If you’d like to discuss how we might help you in a similar way, please don’t hesitate to get in touch through the contact details on our website. Simon’s governance work has seen him continue to support the National Ice Skating Association and the County Sports Partnership in Derbyshire as both organisations undergo extensive and long-term modernisation. For more information on any of these projects, or on how we might support you, please feel free to get in touch through the contact details provided on this website. Simon has continued his work around the governance structure of the County Sports Partnership in Derbyshire, and has also been engaged with the National Ice Skating Association of UK to review and revise its constitution in response to the new national code for sports governance. Proposals for change have been prepared and submitted to NISA’s AGM later in August. We have a busy autumn in prospect, as we embark on new projects with the International Netball Federation, England Netball, and the England and Wales Cricket Board, to name but three. A further update will appear when we next come up for air! We’re as busy as ever with some exciting projects heading into the spring, so watch this space for further updates.